We have wide range of 2/2, 3/2, 5/2 Solenoid Valves to suit variety of applications i.e. Air, Water, Gas, LPG. 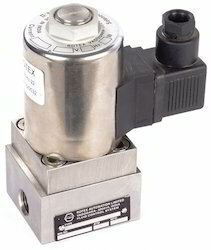 Rotex offers a wide range of 2 Port Solenoid Valves to suit variety of applications. These valves can be basically classified as Normally Closed or Normally Open based on the valve condition when the solenoid is energized. Rotex offers a wide range of 3 Port Solenoid Valves to suit variety of applications. These valves can be basically classified as Normally Closed , Normally Open or Universal (for mixing or diverting function) based on the valve condition when the solenoid is energized. 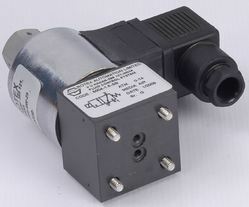 Rotex Solenoid Valve 51400, Size: 1/4"